Paul Sapp is a writer based in Durham, NC. He has partnered with Nic on numerous professional projects as well as the narrative shorts Trust and Skin Tone of My Voice. Paul is also the co-founder of Tiny Engine Theatre Company, for which he is writing an original stage play to be produced in October of 2015. 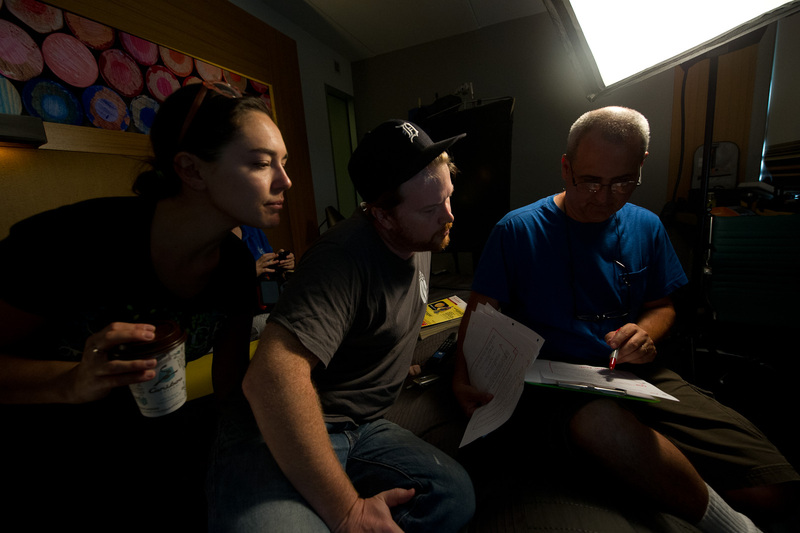 From left to right: Assistant Director Jen Huger Wike, Director Paul Sapp, and Director of Photography Nic Beery on the set of Trust.